Many bulk grown foods that we eat today including wheat, grains, legumes, dairy, maize and soya are not natural foods that we are designed to eat, they exist because we of the necessity to feed a growing population with a cheap source of food. As the populations in the developed world have grown, it has become necessary to develop foods with a greater yield so that we don’t all starve, but the trade off for the adequate supply of these foods is that we are not ideally suited to digest them as well as we could do. 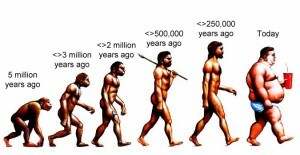 We existed for many thousands of years, gathering foods we found or hunting for meat and fish. Our bodies are designed to extract maximum goodness from a typical hunter-gatherers menu, fish or meat one day, fruit or berries the next, then some nuts or roots or vegetables and so on. Your body produces a different enzyme depending on whether it is trying to digest proteins or carbohydrates. 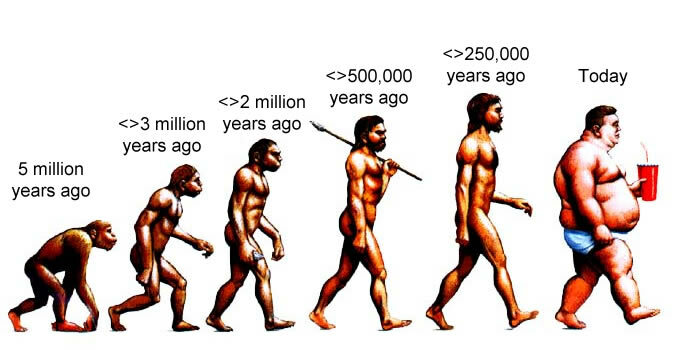 It’s only been relatively recently (the past 10,000 years) that we have started eating meals containing combined foods, and that is the blink of an eye in evolutionary terms, and that is why many people struggle to properly digest meals containing mixed food groups. Your stomach creates an enzyme for each food you eat, if you combine carb’s and proteins then the enzymes fight each other and you will struggle to properly digest anything very well. The Paleo diet is centered on avoiding modern processed foods and foods we aren’t naturally accustomed to digesting, including; wheat, potatoes, grains, legumes, refines salts, dairy, refined sugars and refined oils. Our bodies are not designed to eat these foods, which are mostly modern, and difficult for us to digest in volume. The refined foods are really difficult for us to digest and is in part responsible for the obesity epidemic that seems to be sweeping the developed world. You should stick to only organic, natural foods and avoid anything that has been processed in any way. To be healthy, energetic and full of vitality, your diet should include; meat (organic naturally), fish, fruit, fungi, eggs, roots, nuts and vegetables. 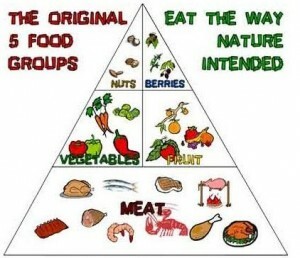 These are our natural diet, and one that we are designed to eat and digest efficiently. Cavemen would generally eat these foods as they found them rather than make up complex mixed meals mixing proteins and carbohydrates which is the modern norm. With the correct recipes it is still possible to combine these foods together to make delicious, healthy meals that you can easily digest.